Getting all dolled up for the wedding is such a special moment for every bride. It’s the time she lets her beauty stylist work her magic and make her look like her best version yet. Choosing a makeup artist is one of those crucial decisions during the wedding planning process, and finding the right makeup artist–one who knows your needs and understands your vision–can be a challenge. 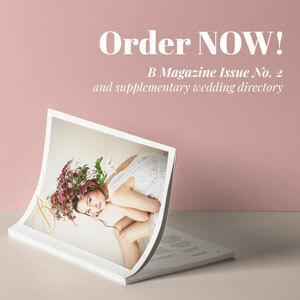 Luckily, we’ve already lined up some of our partners in the industry who can help you become that radiant bride-to-be. 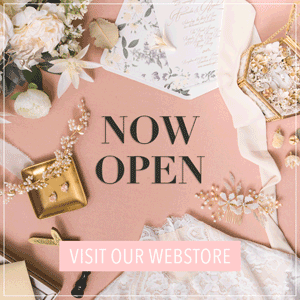 Read on now to find that special someone who can create the perfect bridal look for you. Coey Wong, the woman behind White Oak Makeup, is well known for her magic and ability to awaken every client’s hidden natural beauty. 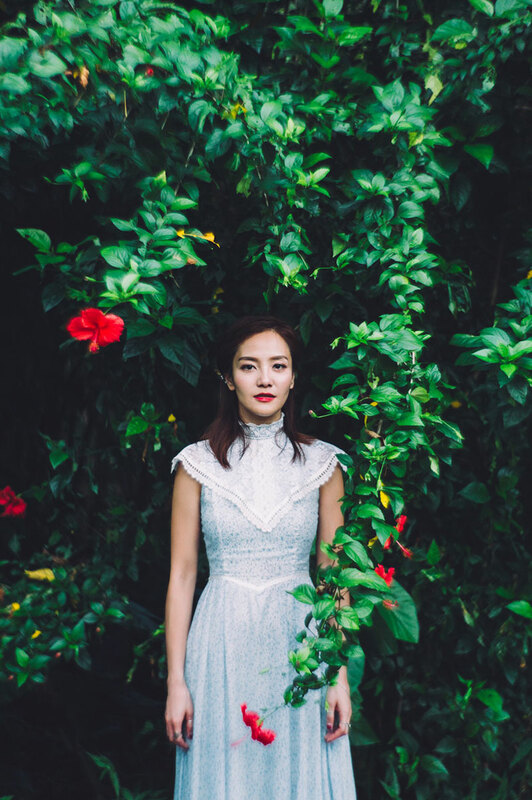 She customizes the overall look for each bride she works with after gaining a thorough understanding of the bride’s wedding style, personal preference, and even personality. With a meticulous eye for detail, she is always capable of creating a natural, timeless look. 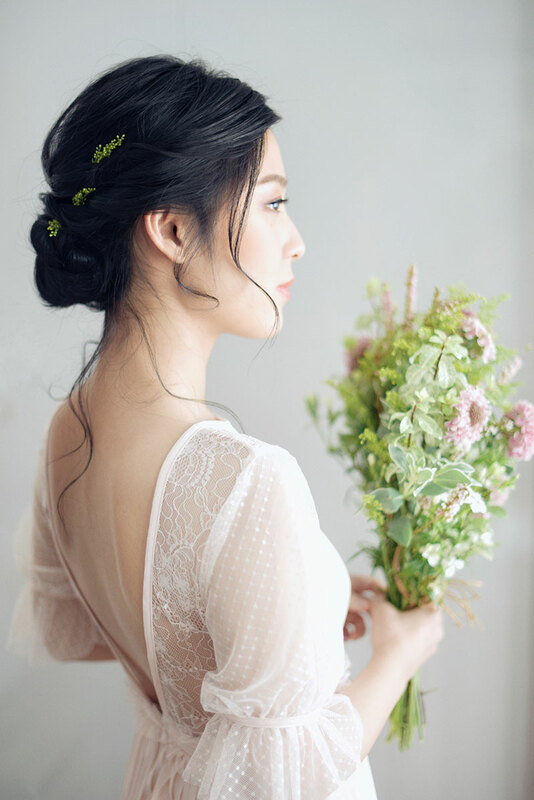 b Wing makes sure she has an in-depth understanding of each bride’s style and uses this knowledge to design a look that encompasses each bride’s inner and natural beauty. Her over five years experience has taught her to master the art of making brides feel confident on their wedding day with the bright makeup look b Wing carefully applies on them. 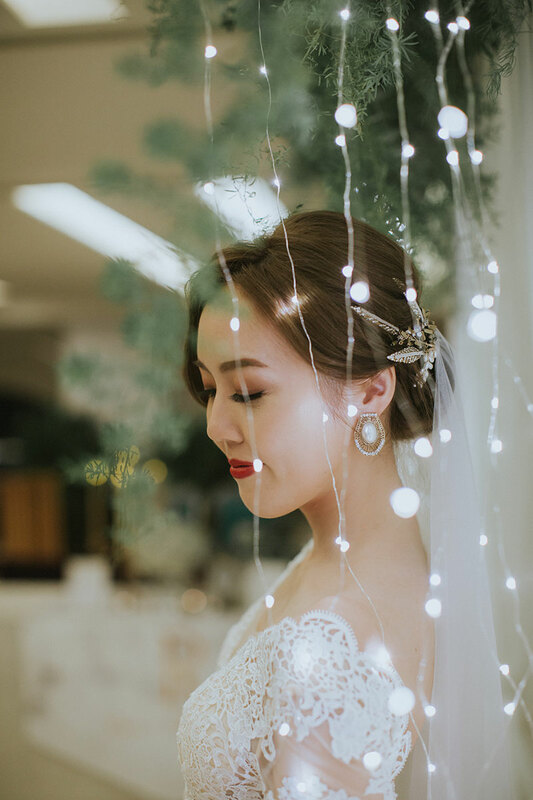 Ultimately, b Wing’s motivation is to make sure every bride that comes to her will feel comfortable and self-assured, so she can also enjoy her wedding day while looking her best. 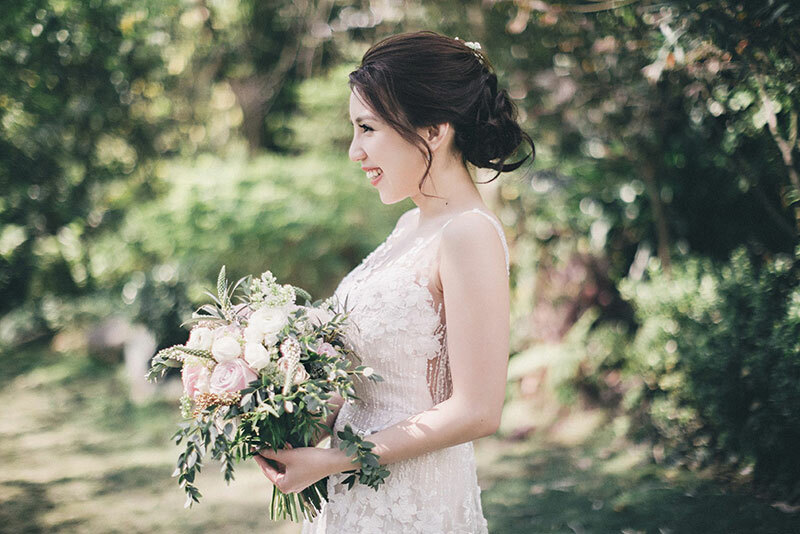 b Wing is best known for her simple and natural wedding day makeup looks. Every bride is unique and so Katie Woo likes to spend time with her brides to find out more about them and their inner beauty. After getting to know her bride-to-be’s, Katie then incorporates natural and elegant elements into the bridal look, to bring out each bride’s most beautiful side. 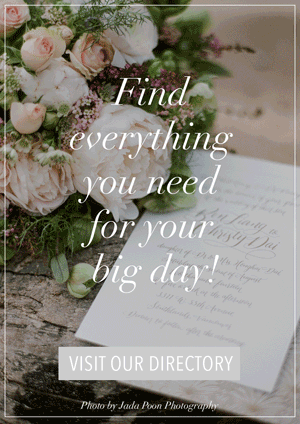 Through her eight years of experience in the industry, Katie has become known for creating many styles–from elegant, simple and graceful, to chic and feminine styes–that brides continue to seek out for their special day. Veronica believes a bride should be the most beautiful version of “HERSELF” on the big day. 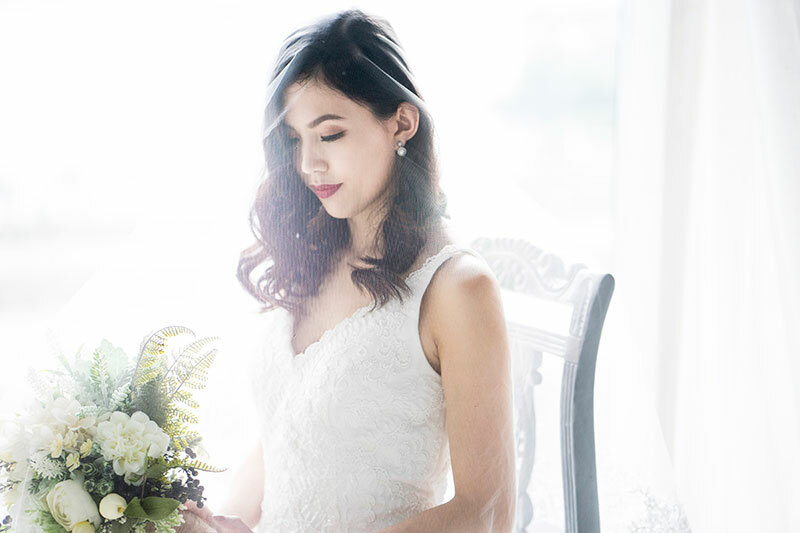 She aims to reveal a bride’s natural beauty, making each of her clients feel comfortable and confident by highlighting their best features with natural, simple, yet elegant bridal looks. With Veronica, every bride becomes timeless and gorgeous! From western to delicate, from classy to stylish, the team behind She Makeup Studio believes in timeless natural beauty. 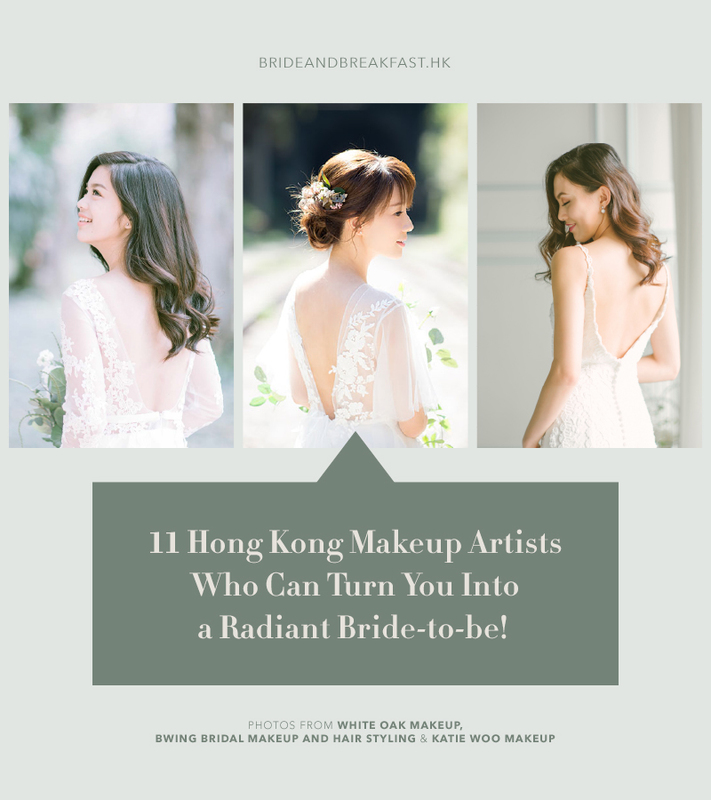 Founder, Sara Wong, hand-picked the best artists to join She Makeup Studio and in order to provide true timeless bridal hair and makeup service for both engagement shoots and clients’ wedding day. 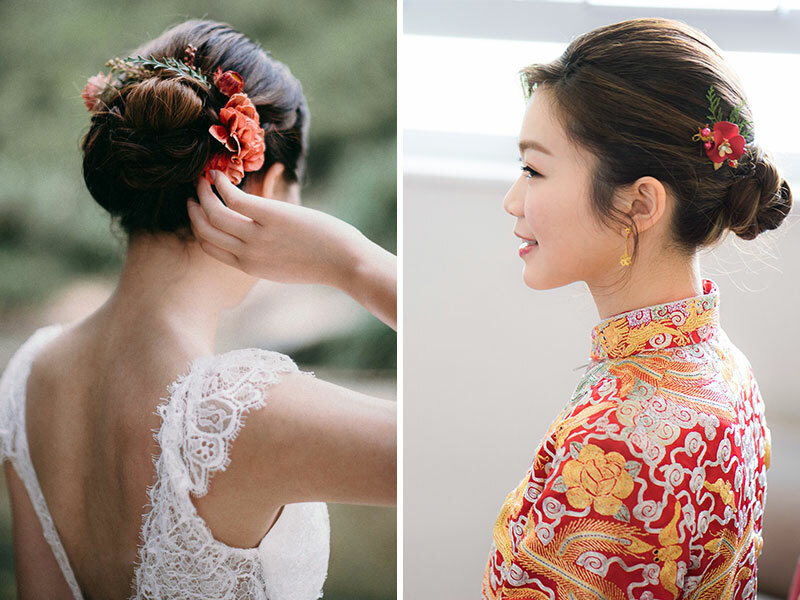 Cherry Wong, who is based in Hong Kong and Italy, is well known in the wedding industry for her timeless, chic, and elegant makeup and hairstyles. Her makeup artistry is a reflection of her combined talents, great aesthetic, and passion for makeup and hair styling. She believes that every woman has a unique beauty and her passion is bringing out that beauty and creating a timeless and flawless look. 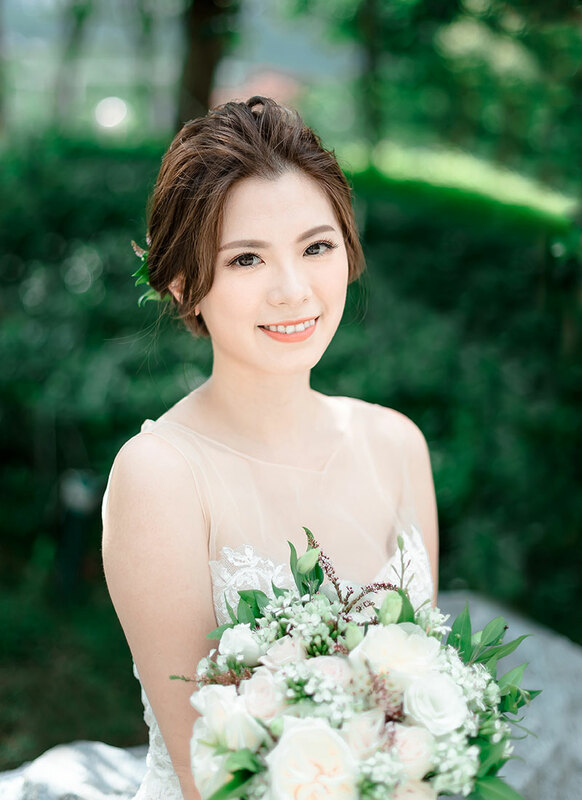 Katy Cheung, as a Bridal Makeup Artist, enjoy her job because she is a witness to her brides’ happiness. She loves to create simple and natural looks based on each girl’s own unique beauty. To her, it is important to make her brides feel confident and fabulous. She strives to create timeless bridal looks that clients can look back on and appreciate even years after their wedding. Luscious Wedding team founder, Linda, believes in natural and fresh makeup that is effortlessly beautiful. Having been in the industry for 5 years, Linda and her team have mastered the art of elegant, fresh, and Western style makeup. Brides who want to look and feel naturally beautiful flock to Luscious Wedding’s experienced team. 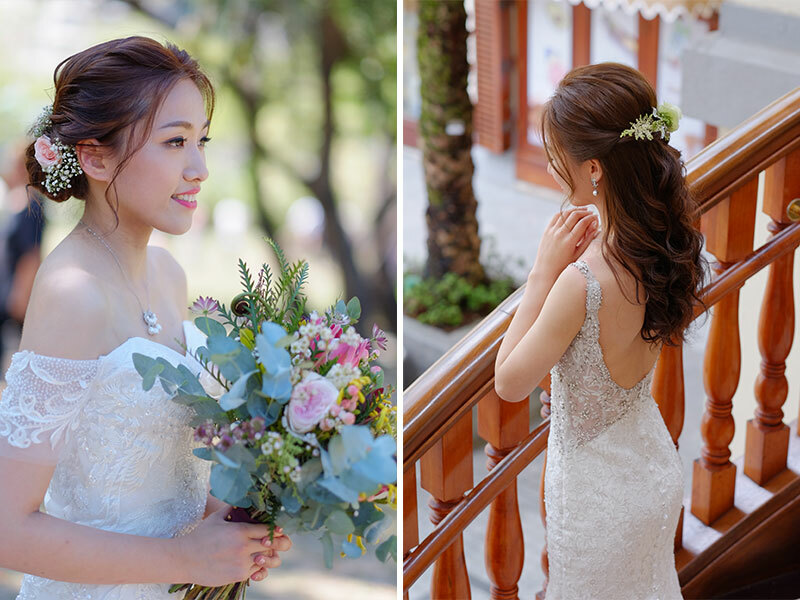 Karen is a bridal make-up and hair stylist based in Hong Kong, originally from Taipei. Since she started, Karen has served more than 500 happily married brides. She specializes in elegant and modern styles and is very passionate about make up. She believes that every bride should have a unique style, and on their most important day, her job is to help brides transform into their most beautiful selves. 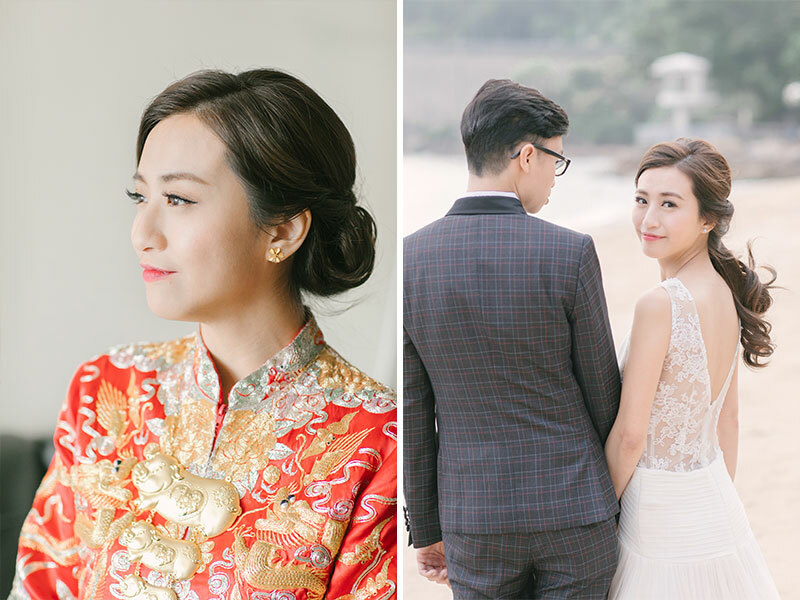 Ivy Lo is a professional bridal makeup artist based in Hong Kong, specializing in creating elegant, chic, and classy styles. Having an eye on perfection and beauty, she is able to create fashionable and stylish looks. Ivy values the importance of communication and the understanding of clients’ needs. 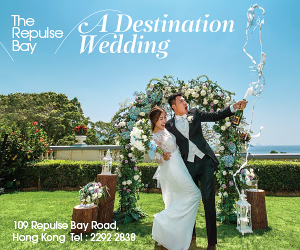 And with her fluent use of Cantonese, English and Mandarin, she has developed valuable relationships with brides from different countries around the globe. Sarah and her team specializes in minimal yet photogenic makeup when it comes to bridal styling. They strive to understand the personality of their clients and create unique styles for each of them. Sarah believes every bride is beautiful in her own way, and this is what she and her team work to bring out and enhance. Click here for more makeup artists in our Directory! Or read about more beauty stylists here: Hong Kong Makeup Artists, Part I.